During a recent conversation, a good friend of mine couldn’t stop bragging about a book she’d recently read and would highly recommend I read as well. The title sounded very familiar. Upon googling it, I recognized its cover illustration and soon realized this to be one of many books I’d previously stumbled upon at the library and totally undermined because I wasn’t all that impressed with its appearance. Fortunately, I revisited my local library and checked this book out, and it turned out to be one of the best written books I’d ever read. It still troubles me to think that I could have missed out on a really great book simply because I chose to judge it solely by its cover. Needless to say, that incident became an aha moment, prompting me the become more conscious of how I select books based on appearance. 1. Not every book with a faulty cover has a faulty storyline. We all know outer appearance can be misleading. Using the example above, while the book’s appearance was unappealing to me, the storyline turned out to be one of the best I had ever read. I could have easily missed out on a great book because I misjudged its content based on what it looked like on the outside. While I was given another chance at it, be mindful that opportunities are not guaranteed to knock more than once, therefore choose wisely. 2. Not every book with a fancy cover has a fancy storyline. I’m sure we all have our share of stories of books that were amazingly attractive on the outside, and turned out to be a total misuse of reading time. Some, we forced ourselves to read just because… While others, we decided to simply just “let it go!” Keep in mind that, while reading is never a misuse of time, reading the wrong book is. There are many great books out there for everyone. Don’t miss out on them as a result of chasing down “pretty” books. 3. Our young readers are taking mental notes. Kids have the tendency to emulate adults; and the last thing we’d want our kids doing is deciding the value of books based on appearance. Whenever my kids pick out books from our library, the first thing I do is ask them why they pick that particular book. 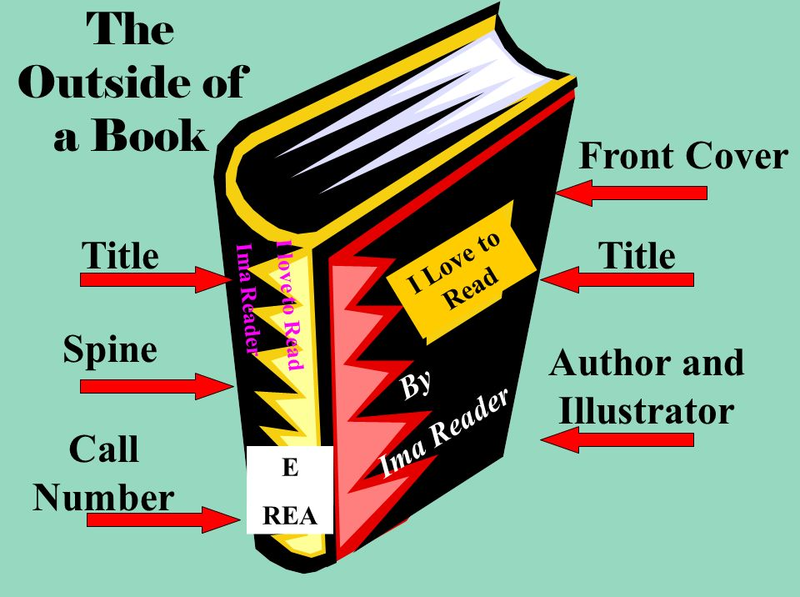 When it becomes apparent that appearance has clouded their judgment, I usually follow up with, “Why don’t you read a bit more to get the scope of the book,” including, preface, headings, table of contents, a few sentences etc., as time allows. It helps that we are rarely in a time crunch when we visit our library, allowing us ample time to skim through book pages rather than just book covers. 4. Our book picking practices extend beyond books. I can be an overthinker at times so let’s hope I’m overthinking this one. Let’s hope I’m simply overthinking to think that selecting books based solely on appearance feeds into society’s obsession with outer appearance. Every time I catch myself making a book decision based on appearance, I stop, pause, and wonder whether I am indirectly teaching my kids that outer beauty carries more weight and value than inner beauty. Perhaps, not. However, it is a risk that I am not willing to take. I would especially love to hear your feedback on this. 5. Practice makes progress. Realistically, no one is fully immune to this and no one can fully perfect this. However, the more we make conscious efforts to look beyond the cover of a book, the less likely we are to judge it by its appearance. Of course there are the obvious influence of media buzz, reviews, and recommendations; new releases, best selling, and award winning lists; and simple word of mouth, just to name a few. However, if we don’t apply basic discernment on a regular basis, the influence of appearance will surely creep in and override the rest. Stay on guard! We would love to hear from you. Tell us about situations where you felt the pressure or need to judge a book solely by its cover. What were the outcomes? Please leave a comment or two below. Deciding on our book pick for December was a bit of a challenge because there were so many great titles from which to choose. One of our teens recommended Charles Dickens’ classic, A Christmas Carol (a book he is currently reading as part of a class requirement), because it fits so well with the December-Christmas theme. Another teen suggested we shift our focus to a more contemporary title. She recommended a family favorite, Grandma’s Christmas Legacy, the Testimony of the Tree by Casey Schutrop. Many other great titles were tossed around. 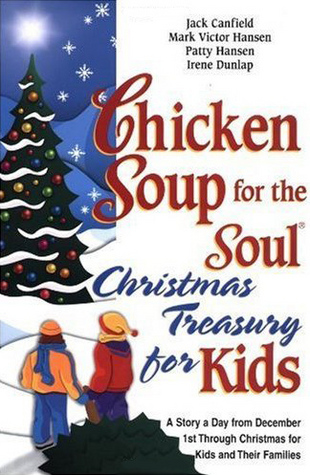 However, after careful and thorough consideration, the team decided on Chicken Soup for the Soul Christmas Treasury for Kids by Jack Canfield, Mark Victor Hansen, Patty Hansen, and Irene Dunlap. I must say, “there is more treasure in this book than in all the Pirates’ loot on Treasure Island.” It is jam-packed with heartwarming, true stories (twenty-five to be exact, one for each day in December through Christmas Day) that will truly melt the heart and warm the soul. Through these stories, “kids will learn about the ‘angels among us’ who give selflessly to those in need; they’ll learn that sometimes the best gifts aren’t bought at a store; they’ll discover that giving to others can be more joyous than getting everything on their list; and both kids and adults will find these stories wonderful reminders of the true meaning of Christmas and make this book a cherished reading tradition for generations to come.” This book is truly a Christmas treasure, one you can either keep, give as a gift, or both. We’d love to hear about books that have become a part of your family’s holiday reading tradition. What would be your holiday pick? Please leave a comment or two below. For more on holiday reading traditions, see our previous blog post, Thanks & Giving: All Year Long . Happy Reading!